Probably the greatest mistake of modern society is the fact that self mastery is never taught in schools. Life would be less of a struggle if we have the inner capability of knowing ourselves with all the nuances we all go through. Renowned martial artist, actor, and practicing Buddhist, Jet Li will guide us to the three levels of self mastery, which involve how to live a life that honors our personal power and how to find inner peace, happiness, and strength. 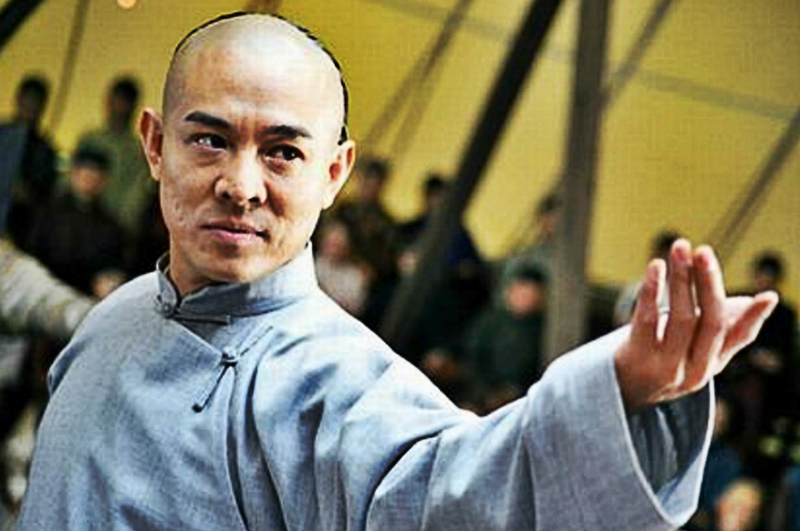 Jet Li has become an inspiration to many martial artists because of his strong dedication to this craft and his regular meditation practice. We can learn from him, not on the basics of his wushu kung fu but on the principles behind the practice that we can apply to our daily life, including respect for the self and others, health, confidence, spiritual clarity, and most of all, self mastery. These principles are not the goals but the results of personal growth gained from kung fu. If you want to apply the same wisdom in your life, take a peek at Jet Li’s 3 levels of self mastery. First Level: Learn and repeat. In combative sports, this means developing your physical capabilities to be able to defend and protect yourself. It involves learning the basics of the game and repeating them over and over again until you gain mastery. Reaching this level may make you untouchable but only on a physical level. Deep within, you still contain the fears of being attacked and defending yourself during possible confrontations. Second Level: Develop innate psychological tools. Developing innate psychological tools is of vital importance to no longer react out of fear. You’re no longer compelled to react to a violent and hostile world. Instead, you become more aware to choose love over fear. When provoked, your focus is not to fight but to choose the best solution, be it to stay calm as you find ways to neutralize the situation, or use psychological tools to steer the situation into a constructive outcome. This is a way of enhancing your relationship with other people. You don’t act out of fear because you’re confident in your own power and strength. Third Level: Cultivate inner peace. This is the level where fear completely loses its power. You will realize that you are an eternal being whose spiritual nature goes beyond the physical realms. Being a fearless spirit, you create things according to your will, knowing how to influence people in bringing harmony and balance into this world. Because you display your power through love and peace, people don’t feel threatened by your presence. This improves your relationships and creates favorable outcomes for you and others. If you’re able to achieve self mastery through these methods, you have acquired the ultimate achievement of a martial artist even without becoming one. You have successfully acquired what Bruce Lee calls, the art of fighting without fighting.